During his training, Dr Meyer published articles in the New England Journal of Medicine and various research and scientific journals. He has completed four years as Editor of Sacramento Medicine, the official journal of the Sacramento / El Dorado Medical Society, and continues on their editorial board. He was responsible for a monthly editorial during those four years and wrote a monthly column entitled “Hippocrates & His Kin” for eight years. This column greatly expanded the readership of the journal and produced favorable email responses from several states, as well as Canada and the UK. These 44 editorials and 78 columns can be read on the electronic journal he Founded and on which serves as Editor: www.HealthCareCom.net. He writes book reviews on medically related topics or on any book written by a physician, regardless of the topic. He has reviewed legal and medical novels. 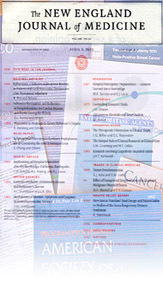 These reviews can be found in sequence on an adjacent column on this page, the Physician/Patient Bookshelf, as well as in a topical listing on the electronic journal (www.HealthCareCom.net). He has also written OpEd articles, medical case reviews and patient profiles on some of his most unusual patients. In addition to Sacramento Medicine, his articles have appeared in California Physician, California Medicine, Sonoma Physician, The Medical Sentinel, St. Croix Review and a number of other medical journals. He has served on the Editorial Boards of California Physician, Sacramento Medicine and The Medical Sentinel.